Inverurie's A and K Top Ten victory in 2015 against Rothienorman was also rewarded by entry to the Scottish Inter Top Ten Competition as the representative club for the Counties of Aberdeen and Kincardine. Once again, A and K were drawn against East Lothian which set up a tie between Tranent and Inverurie on Sunday 15th May. The day got off to a disappointing start with the bus company failing to show up. A massive thank you to Colin Banks, Martyn Thomson and Jim Whyte who offered to taxi the squad to Tranent. The team set off from Inverurie more than an hour later than planned but made the journey in fine time, and were welcomed by our hosts for the day and treated to soup and rolls on arrival. Sadly, we had to leave several disappointed spectators at home due to the unfortunate transport problems. On to the match itself which was played on a tremendous lightning fast surface as players basked in superb sunny and warm conditions. The visitors made an excellent start to the match and at the midway point, there was only a couple of shots between the two teams overall. Jason Banks was paired against the vastly experienced John McCrorie but looked to be in fine form, closing out the match with a fine 21-13 victory. The pairs of Gary Cruickshank and Steve Wilson were against the current Scottish Champions Jim Bonner and Brian Young. The Inverurie duo had settled well and made an excellent start, leading 6-3 after 6 ends. However a pivotal moment in the match came on end 7 with Inverurie lying a count of 6, Brian was off target with a controlled running shot but turned a bowl in for shot from 2 yards out. This seemed to galvanise the home pair and the Inverurie lads were up against it as Brian continued to turn heads with an excellent display of controlled weighted shots. The triples team skipped by Colin Banks were up against Jamie Higgins's trio. Unfortunately they didn't appear to catch the fast pace of the green, and although Colin saved a number of counts they eventually lost out 20-5. As the match neared its end, it was clear that shots looked like becoming the deciding factor as the fours team skipped by Graeme Thomson looked to be keeping their noses in front of Matt Osbourne's home rink. But as the fours and pairs teams started trying to chase heads and desperately look for shots, both matches slipped away and they both lost out 16-17 and 14-21 respectively. Tranent ended up victorious by 6-2 (70-57). The post match buffet was superb and was greatly appreciated by all the players after a long afternoon's bowling. The hospitality offered to the Inverurie players by everyone at Tranent Bowling Club was greatly appreciated. The game was keenly contested but most importantly, was played in a terrifically friendly and sporting manner. To everyone at Tranent, thanks for an enjoyable day and we wish you all the best in the next round and all your forthcoming competitions. Lie Forrit! 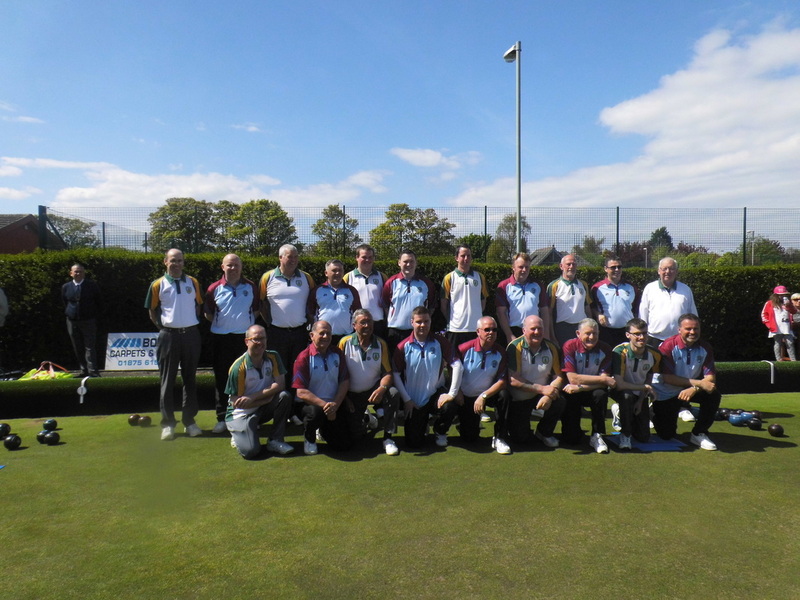 The Final of the Aberdeen and Kincardineshire Top Ten was played on August 9th at Stonehaven Bowling Club. Inverurie had battled past some extremely tough opposition, including Kintore and holders Tarves, to make it to the final once again. Standing between Inverurie and the title was a Rothienorman team packed with talent, including current Scottish Internationalist and regular county skip Neil Burnett, as well as five other current A and K county players. As the players walked on to the green, many were wrapped up in jackets and jerseys, however, it wasn't long before most were cast as the August sun burned back the cloud. By the end of the afternoon, the players were basking in glorious conditions with the green looking to be running fast and true. Inverurie's own current internationalist, Jason Banks had the unenviable task of taking on Neil in the singles. With Jason holding a 100% record in the singles throughout this season's competition, he would have been filled with confidence. However, Neil was in devastating form and although Jason battled well, the singles were first off with Rothienorman having 2 points in the bag - Neil winning by 21-13. Jason was able to take his place in the shelter, joining an already healthy Inverurie support and watch the rest of the day's bowling unfold. Regardless of the singles score, Inverurie appeared to have opened up a healthy lead overall early on, with the fours skipped by Graeme Thomson racing to a 12-2 lead over Mark Campbell's rink. The triples, skipped by Colin Banks also held a decent lead at half way, and although the pair of Gary Cruickshank and Steve Wilson weren't having it their own way against Ian Lonsdale and James Harper, things were looking promising for Inverurie. However, the Rothienorman fours surged back into their match, and at one point were back within one shot. There was also a dramatic turn around in the triples, with Ian Moir's triple overcoming their early deficit to sneak into the lead. The tables had turned and Rothienorman looked to be edging away with the game, with two points in the bag already and the pairs and triples in front with only a few ends to go. But this time it was Inverurie's turn to rally. There was two pivotal moments in the pairs match, with Rothienorman holding a 5 shot lead and lying four, Steve Wilson ditched the jack with his last delivery to pick up a two - a massive 6 shot swing at this stage. Only a few ends later, and with Rothie once again lying four, Steve drove at the head to burn the end. The pairs and triples games looked to be the key matches at this stage, and just as this end was killed in the pairs, a roar went up on rink 5 in the triples as Ian Moir binned the white with what looked to be a potentially match winning delivery. Colin Banks was in no mood to surrender though, and he produced two sensational bowls inside Ian's toucher in the ditch to make a count of two. Back to the pairs, and in a game of excellent quality where all four players seemed to be hitting top form, Gary and Steve had somehow managed to take a 12-11 lead into the final end. Both Gary and Ian produced a sensational last end, but with Inverurie lying one, with his third delivery, James played a controlled weight shot and managed to squeeze the jack to the edge of the rink but found himself still one down. After agonising over his shot selection for some time, Steve decided to run for cover and rolled a back bowl in to prevent a count of two. James however showed nerve's of steel to draw the shot and tie the match at 12-12, overall score now 3-1 in Rothie's favour, although the draw seemed to favour Inverurie with how things stood and it wasn't long before the overall points score was even. On rink 2, the fours were playing their last end, and with Mark Campbell's rink 4 down and Inverurie lying one, he tried to burn the end with his last delivery. His strike was on target, but unfortunately for Rothie, the jack rebounded back up the rink to an Inverurie bowl and the match finished 20-15. At this stage the scoreboard read 3-3, and overall shots was Inverurie 45 Rothienorman 48. But with the triples starting their last end all square at 15-15, overall shots would only now be a factor if there was a no shot, leaving it effectively a one end shoot out for the match. Jim Whyte kicked the end off with a front toucher, advantage Inverurie. With his opposing lead Gordon Esslemont not able to better it, it was down to Gordon's dad Neil to try and change things. Rothie could only watch on in vain as his three deliveries all drifted past the head. But the end was by no means over, and with his first delivery, Ian Moir appeared to have played a match changing bowl as his controlled weight shot hurtled towards the head. Incredibly, although hitting the target, his bowl managed to squeeze through between the shot bowl and jack, leaving Inverurie still lying shot, albeit now a couple of feet away. Meanwhile, Colin Banks was running for cover, opting not to draw a closer shot and was covering all angles at the back. 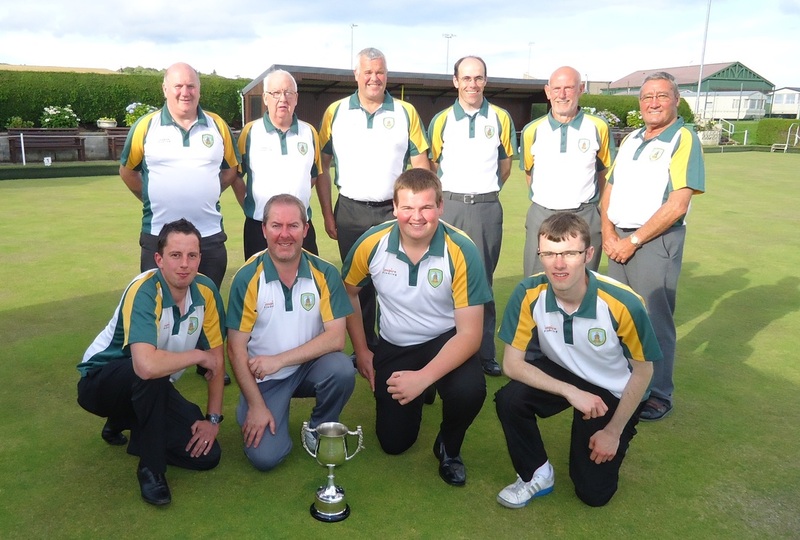 So the 2015 Counties of Aberdeen and Kincardineshire Top Ten Final went down to the very last bowl, and with Ian's final delivery looking to be on the perfect road, it agonisingly run up a couple of inches short, meaning Inverurie were champions once again, and for the third time in their history. The spectators had been treated to surely one of the closest and tightly contested finals in many years, the final score reading Inverurie 5 Rothienorman 3. Afterwards, players and officials were treated to a tremendous spread of post match nibbles. A and K President Graeme Penny handed over the badges to the Runners Up and Winners before presenting President Kenny Gillies with the trophy. Only Colin Banks, Graeme Thomson and Steve Wilson remain from Inverurie's most recent Top Ten victory in 2010, which was also against Rothienorman. Inverurie will now look forward to representing A and K in the Inter County Top Association in 2016. Congratulations to all the team - a great effort on winning this prestigious event once again.